We have been publishing articles for over 30 years to address the myriad of issues that interviewers encounter in the process of hiring top talent. Our library of articles is available below for your review. Replacing the traditional panel interview with an effective team interview has a lot of advantages. Imagine what would happen if corporate methods of assessing candidates were adopted by Olympic judges. Selecting the right candidate takes time, but if it’s too drawn out, an organization risks losing qualified applicants. If you think you've experienced some bad meetings, consider the unorganized discussions of candidates that can sometimes take place at the end of an interview schedule. In a fast-paced, technology-driven workplace, it's not enough for employees to know their stuff. They also have to be quick learners who can easily assimilate new information and then use it in fresh and unexpected ways. We believe in interviewing the old-fashioned way. Each interviewer learns as much as possible about every candidate. All interviewers elicit a wide range of competencies that reveal strengths and limitations, and they look for repeated patterns of both. A sign we see in the maturity of a work team once it is trained in interviewing skills is a willingness to delegate the selection process to some members of the team and not require that a prospective candidate be interviewed by every single member. Our experienced associates located throughout the U.S. and in the U.K. deliver our training seminars at any client location. © 2019 Interview EDGE, Inc. All rights reserved. 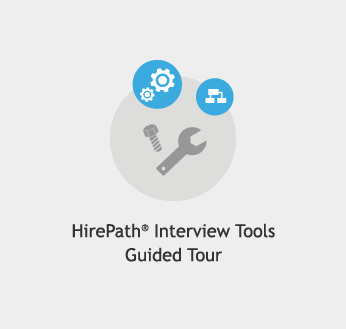 When you logon to Hirepath® Interview Tools or Effective Interviewing!® Online Learning, you accept the Terms and Conditions Policy, and acknowledge that this user account is for your individual access only. Don't have an account with us? Register now by entering your Class ID. Registering is quick and easy. Account is subject to verification of user attendance as a seminar participant. You will receive a confirmation of your account set-up by email after you submit this form. Tip: Your password must be 4-10 characters, in any combination of upper or lower case letters and numbers. Complete the following form to preview the eLearning and Interview Tools. 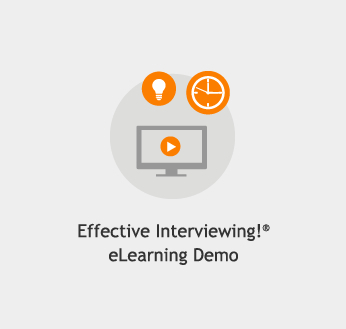 Are you interested in bringing interview training into your organization? Thank you for completing the form. Click below to make your selection. The entire content of this website, including but not limited to text, graphics, logos, images, and multimedia, is the exclusive property of Interview EDGE, Inc. and is protected by U.S. and international Copyright laws. You may print portions of this content solely in connection with your use of the services provided on this website as an information resource. Unauthorized duplication or redistribution of this content may violate Copyright, trademark and other laws. We provide the website on an "as is" and "as available" basis and without warranty or condition of any kind, express or implied. Each user agrees that use of the website is at the user's sole risk. We reserve all right to limit, restrict or terminate access to the website for no reason or any reason whatsoever, including, without limitation, if we believe that user conduct violates applicable law or is harmful to the interests of Interview Edge, Inc. or our clients. We receive personal information from Website users who submit information directly, such as when they request our training services or register for our online learning. This information typically includes name, company, phone and email address. We may also collect mailing address and phone number for contracts and billing. We are committed to personal data minimization and limiting use to those processing activities for which consent was given. We use the personal information you provide as necessary to deliver our products or services, or as required for legal compliance or other lawful purposes. We use your personal information to register you for our online user accounts and to directly communicate with you via email or phone. We take reasonable steps to ensure that personal data is accurate, complete, current, and reliable for its intended use. We take reasonable and appropriate measures to protect personal information from loss, misuse and unauthorized access, disclosure, alteration and destruction, considering the risks involved and the nature of the personal information. You may have the right to request access to, a copy of, rectification, restriction in the use of, or erasure of your information in accordance with all applicable laws. The erasure of your information shall be subject to applicable state and federal laws. You may visit and browse our Website without providing any personal information, and you can choose not to provide us with the personal information we request. However, choosing not to provide us with certain information that we request may prevent you from accessing or using certain portions of our Website. Upon request, Interview EDGE, Inc. will provide individuals with reasonable access to their personal data, and in doing so allowing individuals the opportunity to correct, amend or delete personal data where it is inaccurate, or has been processed without your consent. A request may be denied under certain circumstances, such as where the burden or expense of providing access would be disproportionate to the risks to the privacy of the individual in the case in question, or where the rights of persons other than the individual would be violated.